Reading and finding new quotes really excites me in a way! Is that normal? I have no idea! When I come across one that is really hard hitting I change it to my phone/laptop wallpaper so that I can read it all day everyday. 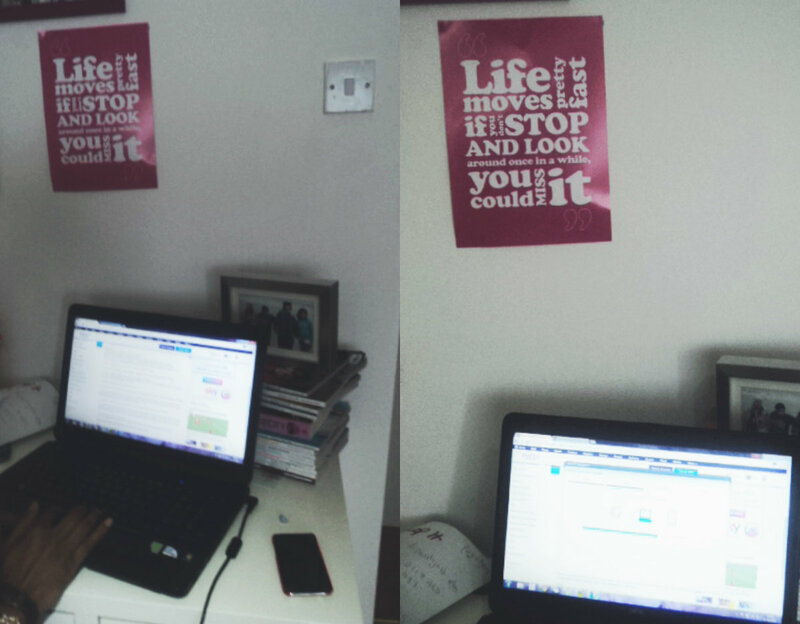 But, I had never thought of having a poster with a quote on my wall?! Yes, my wall. Right above my desk is this cute little poster from Chatterbox Walls, a company that creates, personalises and sells different wall items for you! Whether it be a image, photo, quote they are the ones you need to turn to! I love this one because it is right above my desk, whenever I read it I just remember that I need to slow down and breathe and not get too stressed out over nothing. Little things like reading these help my mind clear up and relax. If you would like to have one similar to this one, then be sure to check out the links below and order yourself one today!